As many of our regular readers know, our family is looking forward to a wedding this fall. The mother of the groom and the mother of the bride (that's me) are both so thrilled that these two hearts have found each other and plan to walk life's journey together. We both admitted to one another when we met that we were beginning to wonder if either one of them would ever find that special someone, it had been a long search for both of them. 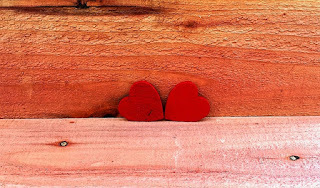 After having met my daughter's soon to be Mother-in-law, I kept reflecting on those two hearts that seem so perfectly matched. Wouldn't a two hearts wedding theme be perfect for the both of them to celebrate their special day? It just seems so fitting in my mind. Of course, it is up to my daughter and her fiance to make the final decision but I am loving the idea. A two hearts wedding theme would be so easy to work with. There are a multitude of supplies to be found with this theme. 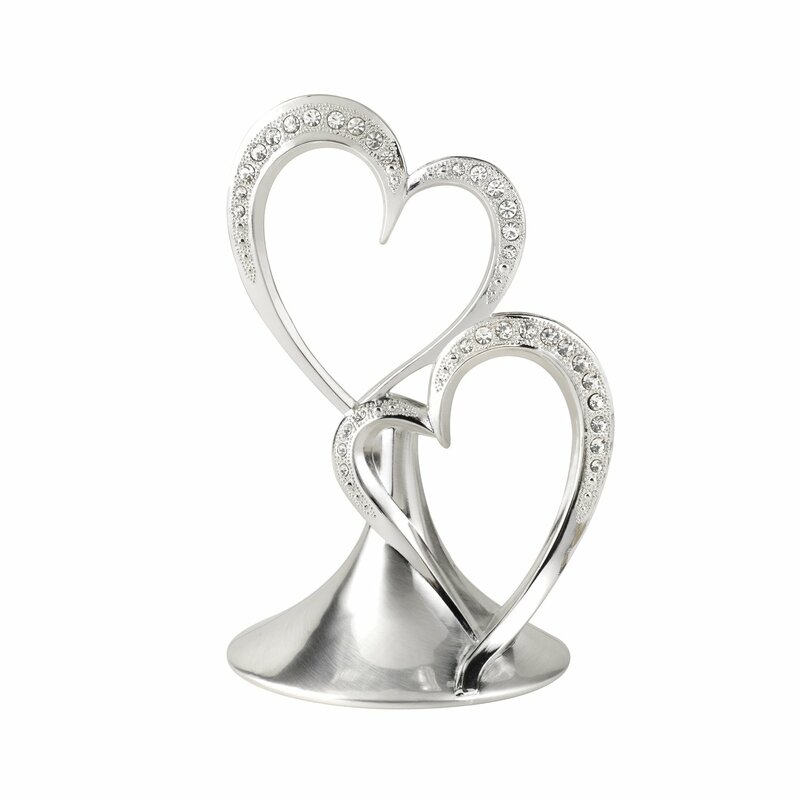 One can easily find napkins, plates and cups for the reception with those hearts entwined. I particularly like the cake topper in lieu of a more traditional bride and groom one. In my research, I have found that just about anything you would want to use at the wedding reception can be found with this endearing theme. A lovely guest book with a pen holder that matches could be placed at the church for the actual ceremony. Pretty champagne flutes for the bride and groom to toast each other at the reception are an option. Well, the list just goes on with choices. Personally, I think my daughter will love this idea when I present it to her. It may be a little on the sentimental and "soppy" side but it just so fits their lives. Those two hearts who have walked alone through life are going to join as one to walk hand in hand on the path that they were destined to find. 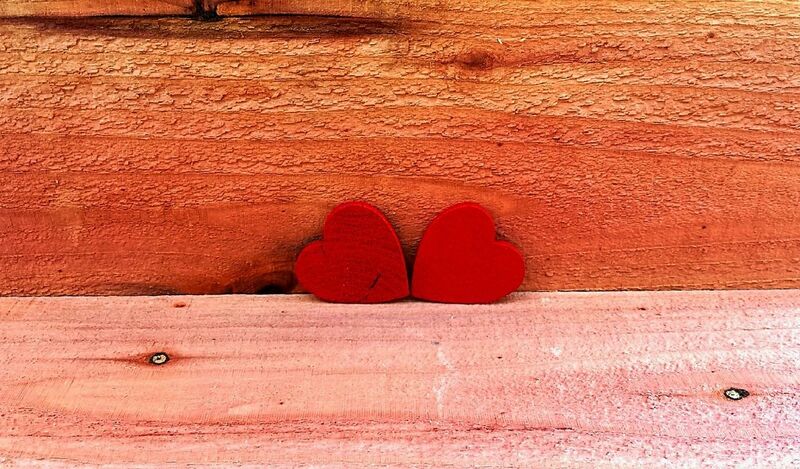 Two hearts who were just fine separate but together become complete and whole. Two souls who chose not to settle but to wait until "the one" came along. Well, to say that we are thrilled for both of them just doesn't seem to cover the extent of my emotions and it pleased me to find out that the mother of the groom feels the same way. We were thrilled last month when our daughter's special guy popped the question and she said, "Yes!". So, now there is a wedding to be planned and I am already thinking ahead. Obviously, my daughter and her fiance will do most of the planning so that their day will be perfect for the two of them, but there are things that I can prepare for that they may not think of. For instance, I know that a tote for the bride will be something that she will need but won't think of. I love my daughter dearly but she did not inherit my organizational gene. Then again, she might have but has suppressed it because I drove her crazy as a child with my lists for everything! Let's be honest, on her best day she forgets stuff like what she needs from the grocery or a shopping trip. She makes more trips than necessary because she didn't write down what she really needed to get which results in not having the very thing she needed to cook or perform a task with. I can't tell you how many times I have seen "that look" come over her face and I will say, "What did you forget, Sweet Pea?" Knowing this about my lovely daughter, I think that a special Bride's Tote will be one of the gifts that I can give her for the wedding. The morning of the wedding, I can help her pack it with all of the things she will need to take to the church. You know like make-up, slippers to wear while getting dressed, hair supplies, tissues and all sorts of bridal necessities. (I'll make a list!) This will not be a day for her to realize that she forgot something that she will really need! I like the sample shown above because it is a nice size and has some inside pockets for placing small items in. I also like the simplicity of it. The tote looks pretty sturdy and should hold everything she will need to take in order to get ready to walk down the aisle. 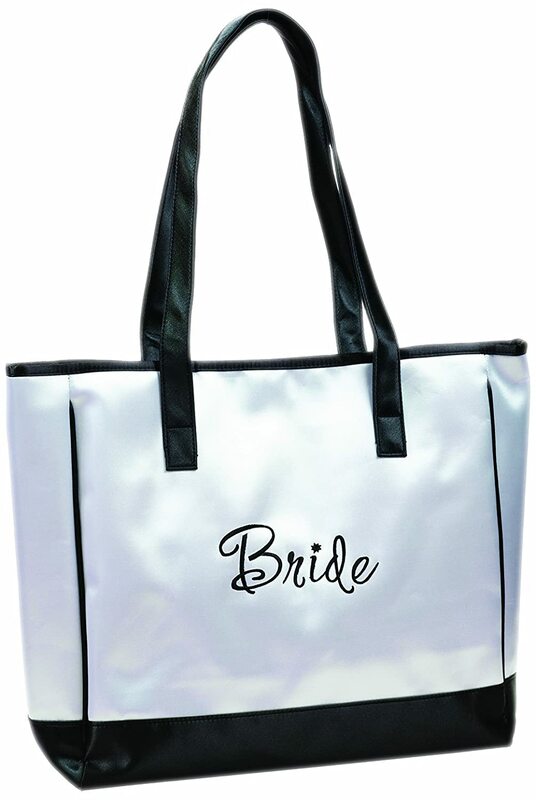 There are many options when it comes to a bridal tote and you can even get ones that are for the wedding party. I might suggest that to my daughter as a gift for her attendants but that will be up to her. She can get one that matches the one I give her or she can pick one that is totally different. There are so many sizes and styles to choose from. I do plan to look on Zazzle also because I know there will be some unique and different styles to choose from there. I plan to give this tote for the bride to my daughter at one of the showers that will be held for her. I'll pack it with some fun things and use it as the "gift bag" so to speak. There might be a few things that I think she will need for the day of the wedding but I'll also put things like her favorite lotion, bath salts and spa type items that she can pamper herself with before the wedding. As I have begun my search for the perfect Bride's Tote, I have noticed that it is important to read the descriptions and the reviews. Sometimes, pictures are deceiving as to size so make sure the tote will be a good size for your bride. Construction (sturdiness) is important. I noticed on a few that I thought were pretty nice that the people who purchased them were disappointed because the tote was not of good quality so pay attention to all of those things. I already know that she will be a stunning bride on her special day and if I can help her not be stressed about little things, well, that is my job as the Mother of the Bride. Along with her super organized Matron of Honor, we will help her get through the preparations and be able to walk down the aisle knowing that she didn't forget one thing.